The fund drive total stood at $130,439, or about 65 percent of the $200,000 goal. Meanwhile, volunteers are hard at work framing walls inside the building. 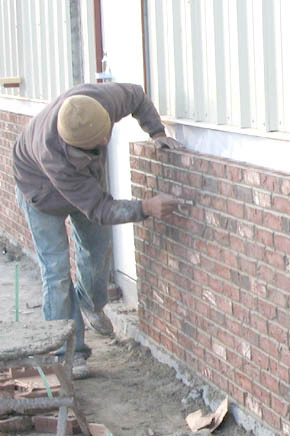 Bricks were laid last week on the lower portion of the building’s exterior walls last week. The veterans are working toward a spring completion of the new structure. See the Albion News Print Edition for details.